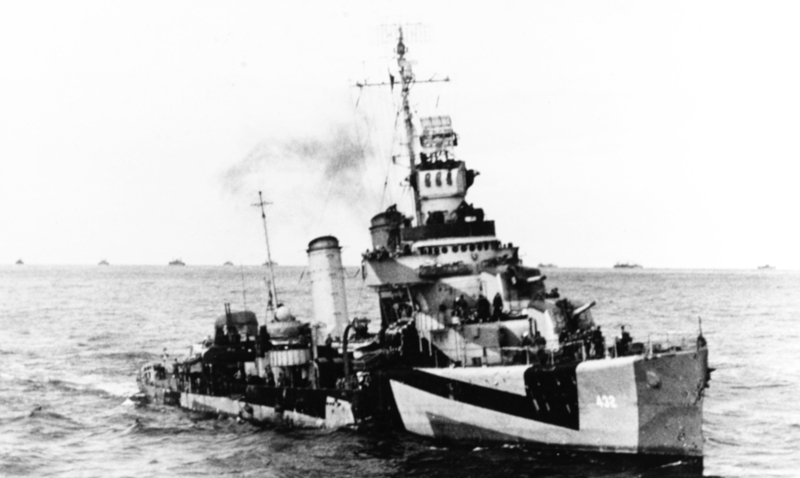 A July 19, 1944 letter #02098 from CinCLant requested BuShips to paint all Atlantic Fleet destroyers in camouflage 32/3D during each ship's next shipyard overhaul. USS Kearny (DD-432) from the starboard bow sometime in 1944 wearing 32/3D camouflage approaching Gibraltar with a convoy. 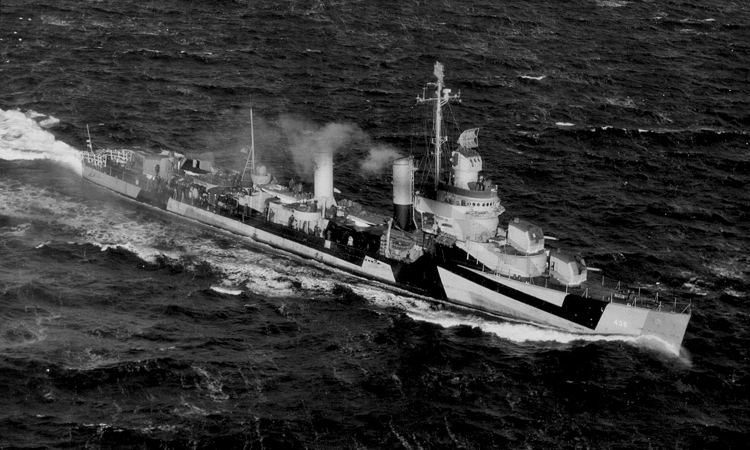 USS Kearny (DD-432) in an aerial photo from the starboard bow on January 19, 1945 wearing 32/3D camouflage. This photo is from squadron VJ-15.